Are you bored with your work, your relationship or your life? Being bored is a state of mind when you are fed up and sick of what’s going on or the lack of activity around you. Complacency also contributes to feeling bored. Boredom becomes a great concern when it results in procrastination, indecision and feeling listless and jaded. The best way to avoid feeling bored is to make your life interesting by not sticking to too many routines. Another way is by making daily progress in everything that you do. You need to pay attention to you thoughts and daily activities and find ways not to submit yourself to drudgery and taking things for granted. Here are a few tips to overcome boredom. Your thoughts affect your behavior. By changing your mind about the meaning of your emotion and experiences, you will generate a different attitude. Get inspired with powerful long-range goals. Powerful goals keep you inspired. You can’t feel bored at the same time when you are motivated to build a life. Create mental images to stimulate your thoughts. Visualize where you want to be and what you want to become. Use your imagination to experience a situation that you want to happen in your life. The wonderful thing about imagination is you can create anything you wish to experience. Change your physiology. Go for a walk or do something physically outrageous. Write down 10 things you can do and start something from your list to overcome your inertia. One of the ways to become aware of what triggers your boredom is to question yourself and take a hard look at it. Observe and write down your feelings and thoughts for a week and at the end of it, reflect on them. Create your curiosity on what’s happening around and inside you. You find life boring because of the repetition or a pattern of some habits or activities. Try to look at and do them differently and get yourself fascinated with other options and possibilities. Find something exciting, stimulating and entertaining. Read, hear, watch or do something stimulating, exciting, and entertaining. Go out, see and experience new things. Avoid boring people and situations. Get away from people and situations that bore you. You can’t just walk out of a relationship but you can give yourself some space to do things that interest and motivate. 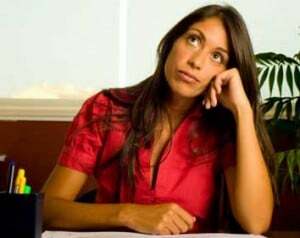 Does Being Bored Have an Evolutionary Advantage?